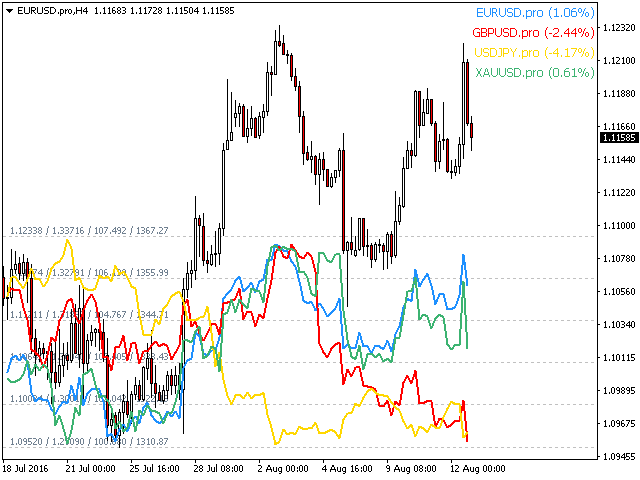 Chart Overlay indicator displays the price action of several instruments on the same chart allowing you to evaluate how differently currency pairs fluctuate relative to each other. What is inverting a curreny pair? Inverting a currency pair means to display the exchange rate between two currencies inverting the main currency of the transaction. 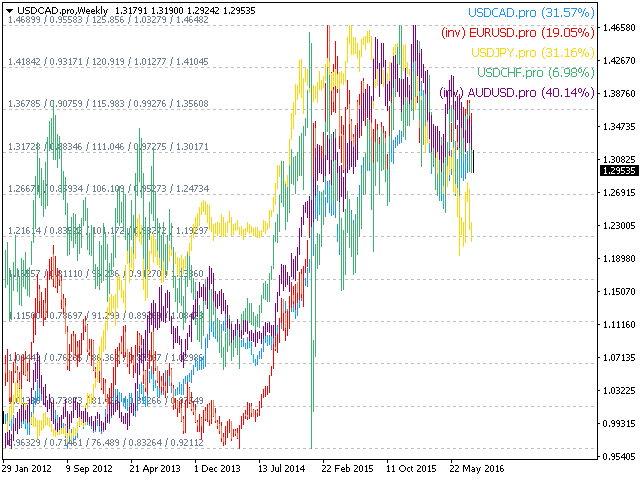 For example, if you want to plot EURUSD, GBPUSD and USDJPY into the same overlay chart, it makes sense to invert USDJPY in order for the price to reflect the inverse rate: JPYUSD. 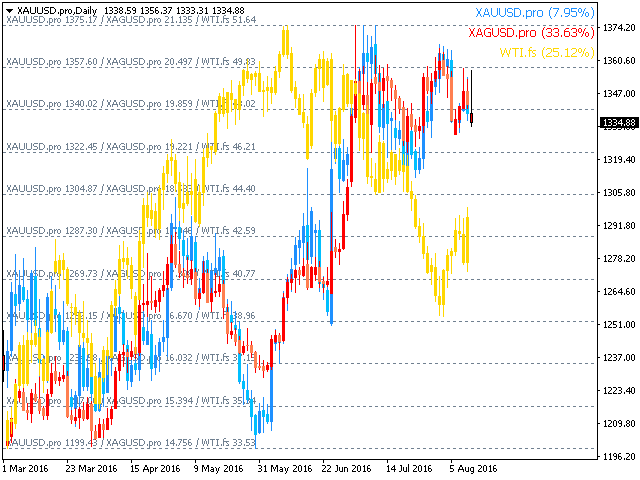 This way the JPYUSD price will move in a positive correlation fashion with the other two symbols of the overlay chart, making the chart easier to study. 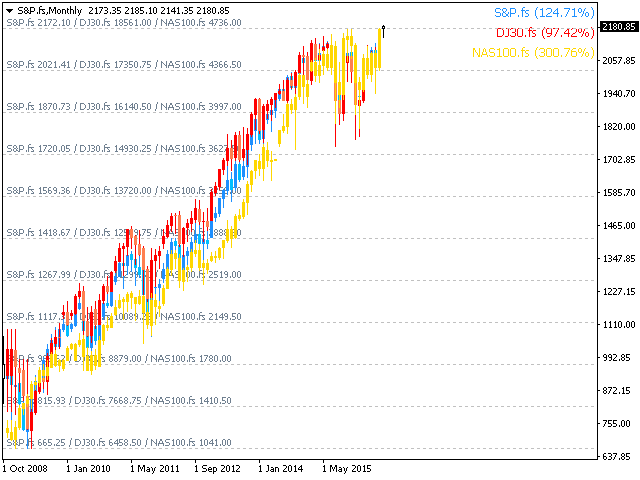 This indicator uses price data from several symbols to draw on a single chart. 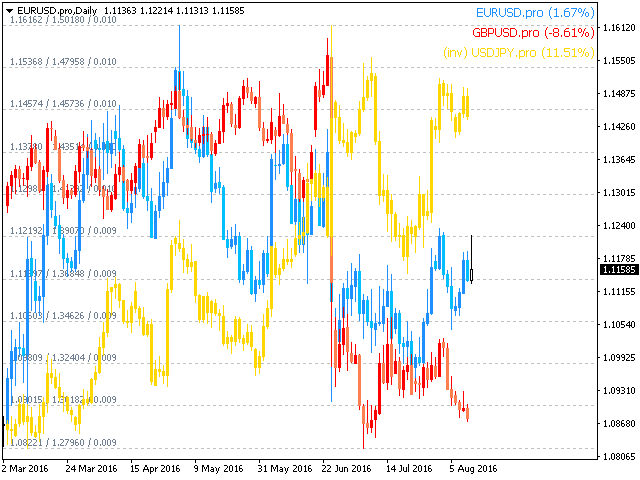 Since the MetaTrader 4 Tester (at the time of writing) does not support multi-currency backtests, the indicator cannot be backtested because it will receive no quotes from the other symbols which is supposed to overlay. To test it, please rent it for one month. 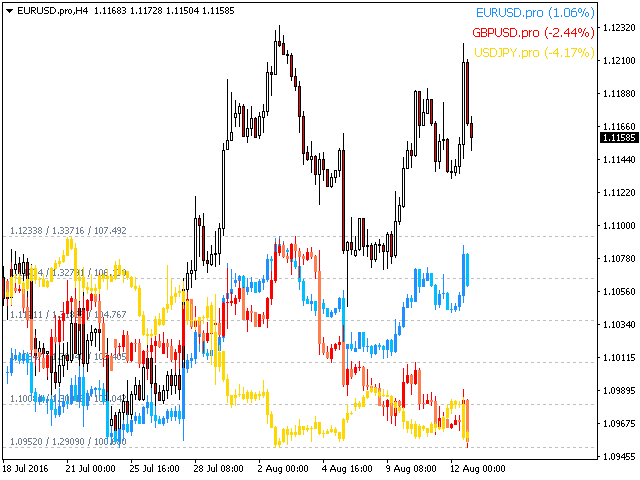 Symbol Settings - type the names of the currency pairs or symbols you want to display on the overlay chart. You need to enter at least one of them in order for the overlay chart to have two currency pairs (native and foreign). If a symbol is left blank or does not exist on the platform, it will be ignored. 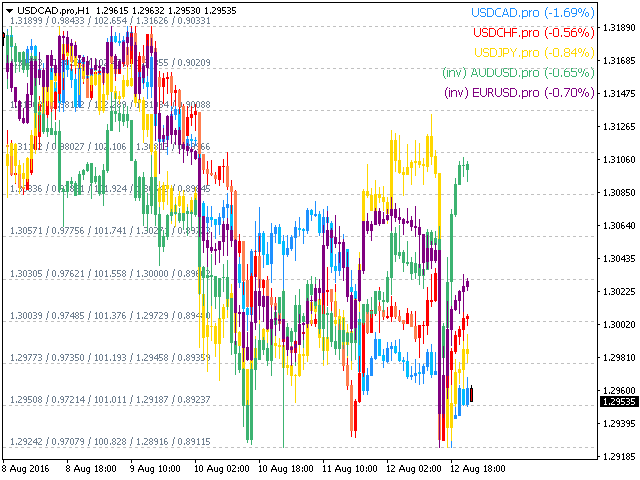 Invert Settings - invert the chart and the name of any currency pair entered above. For example, you can decide to display USDJPY as JPYUSD, which would cause the indicator to invert the price chart, calculate the inverse exchange rate and display it accordingly on the overlay chart. Visual Settings - customize the amount of price lines displayed, as well as colors and sizes for labels and lines.